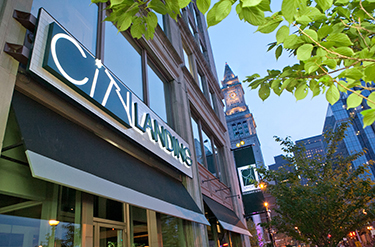 City Landing, a casual contemporary American restaurant, sees one of Cape Cod's most celebrated chefs, Bill Brodsky, translate both his extensive background in fine dining and his passion for conviviality into his first signature venture. With the Aquarium and Boston Harbor to its right and the Rose F. Kennedy Greenway to its left, City Landing has an unrivaled location at Boston's Long Wharf. 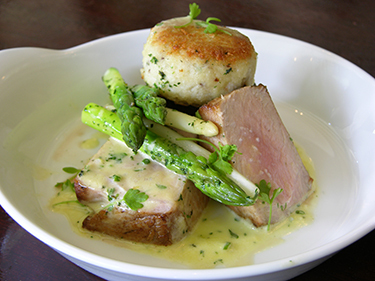 The menu features ingredient-driven dishes that capture bold flavors and are rooted in Brodsky's value for the shared table and are artfully presented. He sources locally as much as possible from both the farmers and purveyors that he has maintained longstanding relationships with and new ones that are closer to the city.